We are pleased to announce we have been shortlisted at the . Verplas is now a finalist for the category, ‘Domestic Ventilation Product of the Year’. The H & V News Awards are the longest running, largest and most celebrated ceremony for the building services. H & V News awards now celebrates its silver anniversary after 25 years of celebrating and rewarding excellence for the most forward thinking and highest achievements across the building services industry. We entered our Next Generations Self-Seal product into this competition. Our Next Generation Self-Seal uses a simple push and connect method for joining uPVC residential ductwork with MVHR installations and other ventilation systems. It’s many advantages include preventing air leakage without the need for silicone or mechanical fixings, having the ability to dismantle the ducting joints for maintenance and easily reassemble with the same integrity. We entered this product into the competitions because it is the evolution of ductwork connection technology for domestic new builds. Verplas is excited to be a finalist for this award. 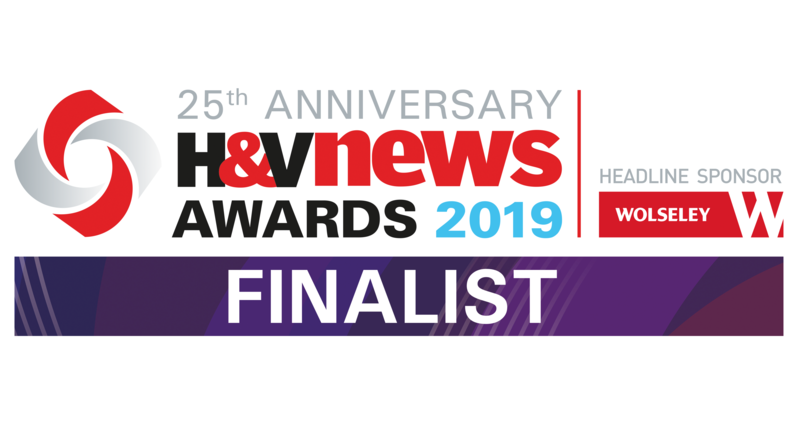 We would also like to acknowledge and congratulate other finalists at the H & V Awards 2019.